We have worked with Lifeworks as our longest partnership due to their excellence in adult and youth counseling, emergency shelter, education and transitional living programs. We work with Lifeworks of Austin partnering in managing funds we grant to Lifeworks to further the programming they are providing and to help young adult survivors of homelessness transition out into independence and higher education. If you or someone you know is facing an emergency situation, please call 512.735.2400 to schedule an intake screening with one of Lifeworks compassionate professionals. We also work with Star of Hope of Houston for their outstanding service to faith based families in need of emergency shelter services and excellence in their Teen programs. 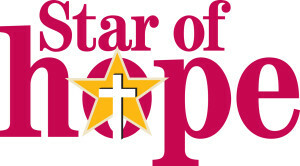 Star of Hope is a faith based community dedicated to meeting the needs of homeless men, women and their children. Positive life changes are encouraged through structured programs which focus on spiritual growth, education, employment, life management and recovery from substance abuse. We have granted money to the Strongheart Group due to their excellence and emphasis on international aid to outstanding individuals for education and to partner with them with one of our recipients. 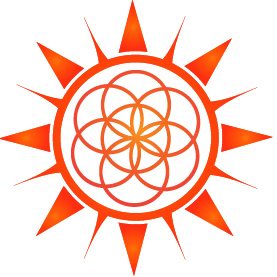 For nearly a decade, the Strongheart Fellows Program, a program of the US 501(c)(3) organization The Strongheart Group, facilitated extraordinary opportunity and intensive education for people with exceptional promise from difficult life circumstances such as refugees, targets of extremism, and survivors of war, poverty, or disaster. These resourceful individuals were scouted from refugee camps, war or post-conflict zones, or areas of extreme poverty and had suffered tremendous loss or deprivation in their lives while at the same time living with enormous resilience and wisdom. We have worked with One Voice Texas to educate young adults in finance and sustainability. We have also partnered with One Voice Texas to influence and educate Texas Congressional sub committees which resulted in successfully changing policy for young adults and transitioning teens to apply for safe and affordable housing. One Voice Texas is an excellent collaborative for Health and Human Services. We have worked with the Texas Council of Child Welfare Boards because of their outstanding service in honoring and supporting the most dedicated Foster Parents and Young Adult Survivors of Homelessness originating from the foster care system. Thank you to our partners and sponsors for support!